Only 177 units of the limited edition model will be built and will only be sold in Europe, in Spain, Germany and the United Kingdom. Indian Motorcycles has teamed up with Jack Daniel’s and Klocl Werks Kustom Cycles to create a limited edition Indian Springfield Dark Horse. The Jack Daniel’s Limited Edition Indian Springfield Dark Horse draws design inspiration from Jack Daniel’s Single Barrel Select, the brand’s finely crafted super-premium whiskey. The special edition marks Indian’s fourth successive year of partnership with Jack Daniel’s, and each limited-edition bike will come with its own commemorative, wooden Jack Daniel’s Single Barrel bottle display. Padded with the same leather as the motorcycle’s seat, each gift will be engraved with the owner’s name, motorcycle number and vehicle identification number (VIN). “The team at Jack Daniel’s relies immensely on their passionate and specialized craftsmen to control the Single Barrel Select process from beginning to end, as each of them pour their personal pride and loyalty into the product every day,” said Reid Wilson, Senior Director for Indian Motorcycle. The limited-edition motorcycle includes many custom-inspired, ultra-premium design features, including the two-tone custom paint scheme, custom Jack Daniel’s Single Barrel badging throughout the bike, and Single Barrel Select wood grain finishes on the tank bag and saddlebag hinges. The Jack Daniel’s Limited Edition Indian Springfield Dark Horse will be powered by the 116-cubic inch (1890 cc) Thunder Stroke engine which puts out 172 Nm of peak torque. Adding to the custom paint job will be unique features like quick-release tinted windscreen, full-LED lighting and a seat strap featuring the Jack Daniel’s Single Select logo. Only 177 units of the limited-edition bike will be built, and going by past record, when previous Jack Daniel’s Limited Edition Indian motorcycles sold out in as little as 10 minutes, Indian Motorcycle will launch a new digital promotion to select which customers will be granted the opportunity to be proud owners of this year’s limited edition motorcycle. 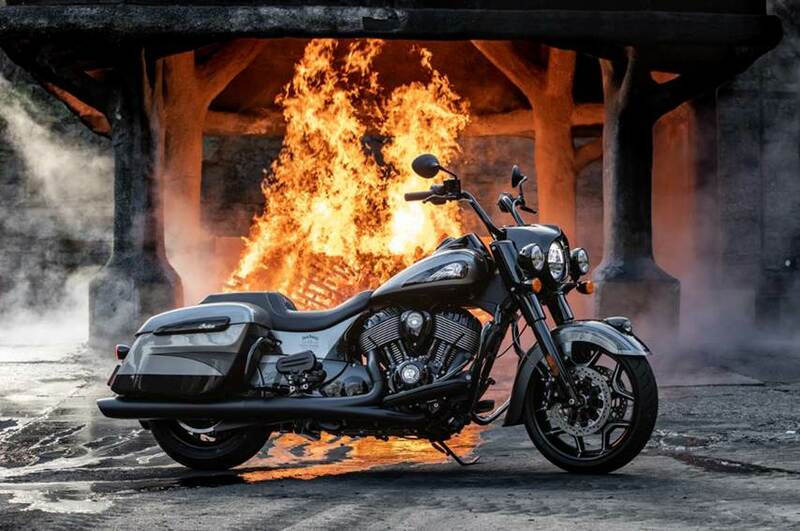 Prices for the limited edition Indian Springfield Dark Horse begin at $36,999 (around ₹ 25.7 lakh), and the bike will be available in September 2019.